The film All in Good Time (2012) was adapted from a play called Rafta, Rafta (2007), which was a Desi-fied update of another play first performed in 1963 (also called All in Good Time), which was itself adapted as a film in 1966 (called The Family Way). Got that? Good. Despite the ethnic and cultural alterations, the basic premise remains the same: A young newlywed couple move into a cramped terrace house with the groom’s parents, and find it impossible to consummate their marriage while living in the suffocating shadow of the family’s benignly overbearing patriarch. This is very much a masculinist film, concerned primarily with how sons relate to their fathers, and the pressure on husbands to produce heirs of their own… so, right off the bat, it’s not really my cup of tea, but I still found it quite amusing and engaging, in a low-key, small-scale, slice-of-life sort of way. I don’t have any objective data regarding its box-office takings or DVD sales, but the lacklustre critical response and absence of a Wikipedia page, suggest that it wasn’t a huge, breakout hit. Despite some very pretty cinematography (and a lovely soundtrack), I don’t think anyone who watched this film would be particularly surprised to discover that it was based on a play, considering the limited settings and general lack of dynamic action. In hindsight, it probably would have made more sense as a TV adaptation, but these decisions aren’t really up to me. 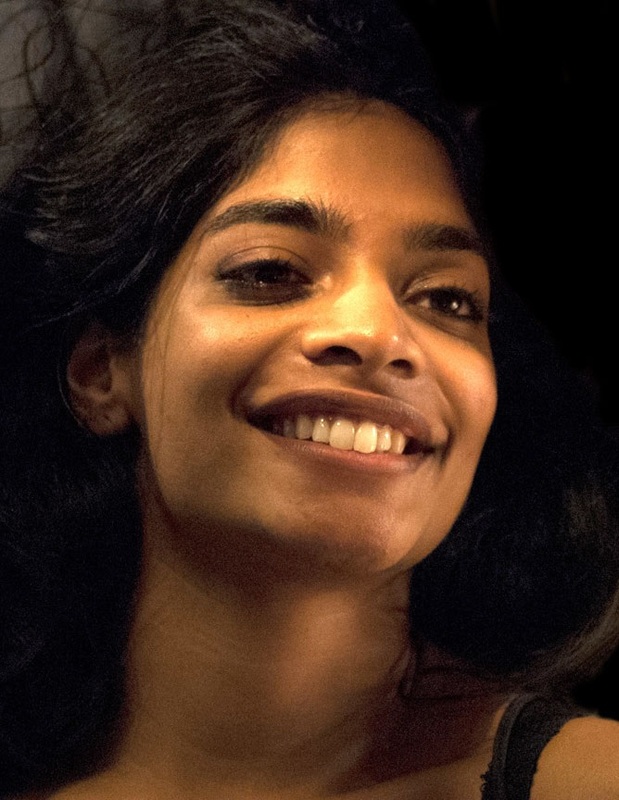 As I say, the main characters of this story are really the son (Reece Ritchie) and the father (Harish Patel), but the cast also boasts some mighty-fine females in supporting roles: First up was the sublimely beautiful Amara Karan as ‘Vina’, the son’s blushing virgin bride. I’m not sure how I feel about Karan rocking a regional (rather than RP) accent, but she makes the most of her scant screen-time, and comes across as very warm and generous, despite her husband’s dickishness (or limp-dickishness, as the case may be). Next up was Meera Syal as her kindly mother-in-law, ‘Lopa’, who’s keeping a guilty secret regarding her own marriage. Syal and Patel had previously appeared together in the stage version, so they already had their characters down cold, and milk the maximum emotional impact from their characters’ shared (and secret) backstories. Next up was Shaheen Khan as Vina’s snobbish mother ‘Lata’, who gets a couple of good moments, despite mostly being there to comment on what the Dutt family are saying/doing/not-doing. 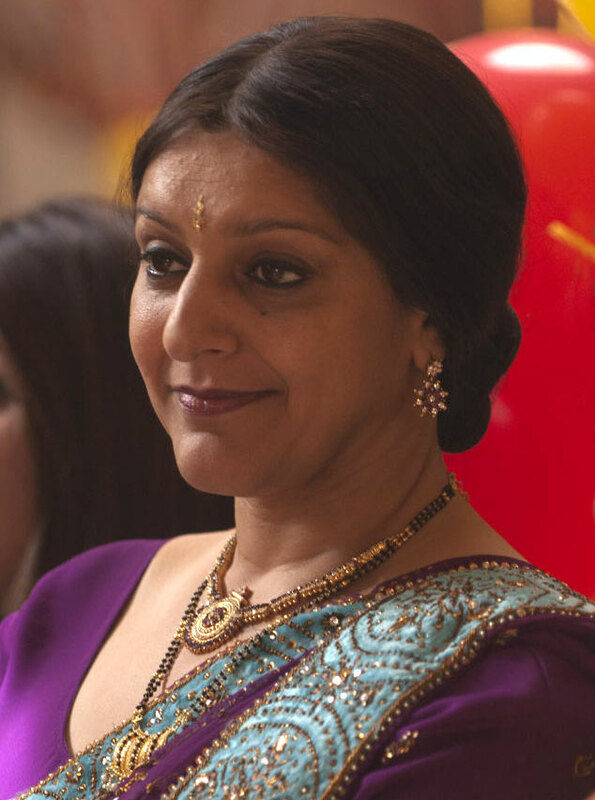 Plus Sudha Bhuchar, Shelley King, and Rani Moorthy as a trio of nosy neighbourhood “Aunties”… and Christine Bottomley as the token whitey, and wife of the son’s boorish boss. This entry was posted in Rants about Films and tagged All In Good Time, Amara Karan, Christine Bottomley, Meera Syal, Rafta Rafta, Rani Moorthy, Shaheen Khan, Shelley King, Sudha Bhuchar. Bookmark the permalink.